This is THE question to answer before any other. Before you decide on your photo to print onto canvas, here are a few tips that may be helpful in making that all important decision. Review our photo printing guide. If you’re wanting to buy a square canvas to fill a particular wall space, then your favourite panoramic photograph is going to be a less than optimum choice to print onto canvas. Genarally speaking, most photographs are rectangular in shape, so there is almost always some if the visible image that you will loose when you place it on a square. Take a look at the image on the right to see what we are talking about. The same applies with a rectangular composition as well. 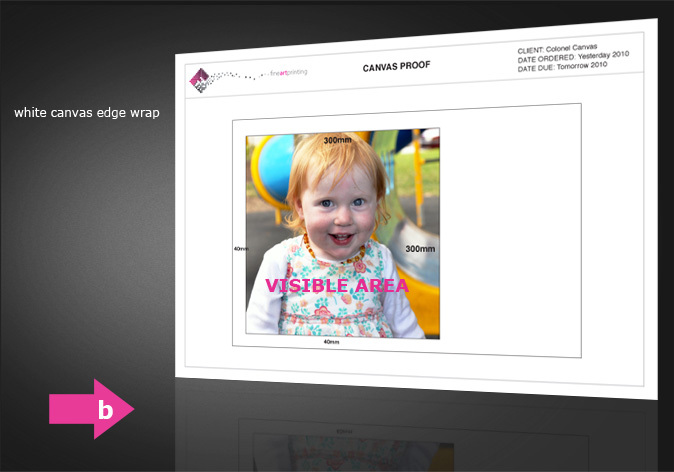 We need 40mm on all sides of the image to make a successful canvas wrap. Order a canvas wrapped print from us today! image that we need to use in order to wrap the canvas fully around the frame. If you're not sure what you want email us. 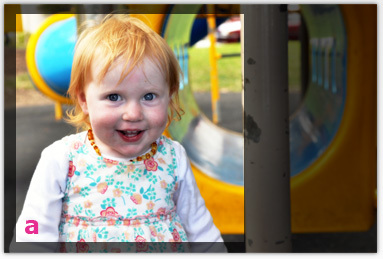 You can email your photo to us if you’re not sure and need some advice. We have different ways to finish a printed canvas so you have a choice and are not locked in to a predetermined frame size. This option uses the full image to wrap around the canvas frame like the example “a”. White, black or custom colour edge canvas wrap. This option allows the photo to end at the edge of the visible face of the canvas. The wrapping part is left white, filled with black or any other colour you may have in mind as in example “b” on the right. This option allows the photo to be mirrored for the edge wrap to be filled with a similar texture as that of the image edge closest to it. 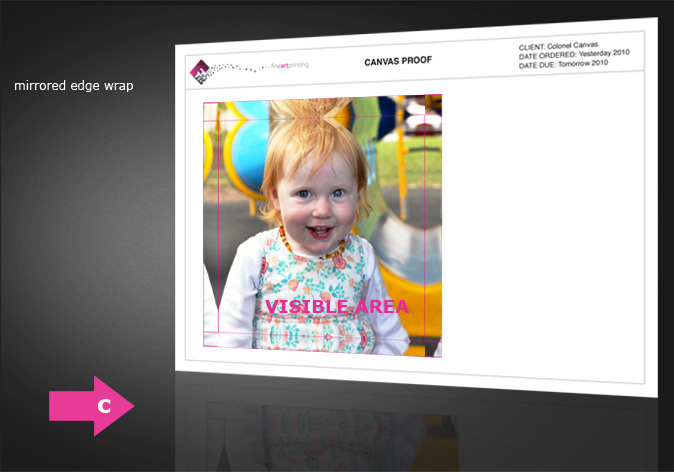 Once you have decided on your various options we will generate a colour proof of the photo’s that you have chosen and then we’ll email it to you in PDF format. Both image “b” and “c” serve as examples of what our printed canvas proofs look like. Once you send us your payment and we confirm it, we’ll get going on your canvas print. There are a few ways to pay, none of which involve credit cards on the internet at this stage. A relief for some and a frustration for others. Take a look to the right and you'll see how easy it is! Pay us by direct transfer. This is the one we actually prefer over the others. Once your order is confirmed by email we'll mail you an invoice in pdf format. Next thing is to simply make a direct transfer to our account (the details of which will be on the invoice). Once the payment reflects in our account we push the play button. You can either deposit this straight into our account or send it by post. The same process applies from here out. We wait for it to clear and then we push the play button. ...to read the fine print ("legalese" for those that prefer legal speak). Please read through out terms and conditions of trade. We have some sound advice on those pages.